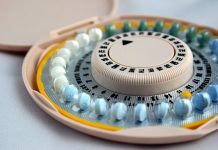 How Are Progesterone Pills Different from Other Birth Control Pills? Home Women's Reproductive Health Birth Control How Are Progesterone Pills Different from Other Birth Control Pills? 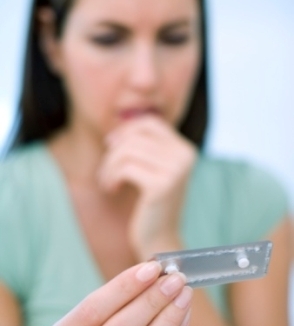 Progesterone pills are different from other birth control pills that are available. They are also known as Progesterone-only pills or the mini pill. They differ from other birth control pills in their mechanism as well as their composition and can work in different circumstances. The first difference between the mini pill and more commonly used birth control pills is that the former contains only synthetic progesterone (progestins) and not estrogen, whereas the latter contains both hormones in their synthetic form. The protection that this single hormone pill provides against unwanted pregnancies is equivalent to the progesterone-estrogen combination pill. The progesterone pill is a lot less commonly used than the regular pill – an estimated 30 times as many women use the combination pill as compared to it. Very low dose of progesterone (which can be taken orally) used as an IUD or implanted under the skin works by inhibiting ovulation and also by thickening the cervical mucus which prevents sperm from reaching the uterus. Intermediate dose and high dose progesterone pills inhibit ovulation, prevent follicular development partly or completely and also thicken the cervical mucus to prevent pregnancy. The other difference between the mini pill and the combination oral contraceptive pill (COCP) is that unlike the COCP, it is to be taken without break every day. Whereas the regular pill is to be taken for 21 days with a break of some days when a woman will typically menstruate, the mini pill is to be taken each day strictly at the same time and doesn’t allow for the leniency of COCPs. One of the main benefits of the mini pill is the fact that it is associated with lower side effects. For instance the COCP is associated with increased heart disease and risk of deep vein thrombosis however a similar risk is not associated with the progesterone only pill. It is less likely to cause weight gain, and it continues to have the benefit of lowering risk of pelvic inflammatory disease like other pills. It is not clear whether it can provide the benefit of lowering risk of certain gynecological cancers (endometrial and ovarian cancer) in the way that COCPs do. The way that this formulation affects breast cancer risk is still not fully understood. Common side effects of progesterone pills may include mood swings, breast tenderness and in cases there could be heavy bleeding and menstrual cramps as well. However in general, the side effects and chance of complications are lower. The mini pill is recommended for use by breast feeding women who are not able to take the COCP. This is because estrogen can interfere with milk production whereas progesterone doesn’t. Even women with certain medical conditions such as sickle cell disease, who are advised against taking the regular pill, may still be able to use the mini pill. The main downside that most women report with progesterone pills is that menstruation becomes irregular and unpredictable. However over several months of use, women may likely establish a pattern of spotting.